If you’ve got the knack for excitement, then the 2016 Jeep Cherokee near Las Cruces is your ticket to more adventures with family and friends. Built for tackling the off-road trails as well as for cruising the city streets, this feature-rich SUV offers convenience and safety unlike any other. Look for a Jeep dealer serving Las Cruces to check out this vehicle for yourself. 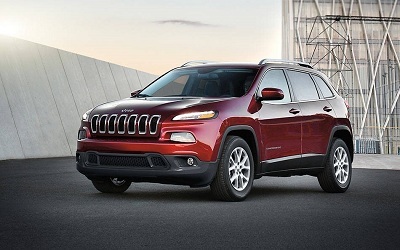 There are four trims on offer from the 2016 Jeep Cherokee near Las Cruces. You can choose from the base model, Latitude, Limited, and the Trailhawk. Each trim is defined by a distinct color palette for the exterior and interior, as well as premium materials for the upholstery and soft-touch surfaces. For the more adventurous type of driver, the Trailhawk is the most highly recommended choice, with off-road enhancements like undercarriage protection and better suspension. Posted on October 5, 2016 by CedrickPosted in BusinessTagged 2016, await, expeditions, jeep, thrilling.